There’s a new battle brewing in the Pacific. It’s over potential gas and oil reserves, fishing grounds, and shipping lanes. It involves Japan, China, and Taiwan. And its focus is a group of striking, uninhabited islands. The Senkaku Islands sit in the East China Sea. They lie east of China, northeast of Taiwan, and west of Japan’s Okinawa Island. The Japanese, hoping to strengthen their claim, built a lighthouse and a wharf on the islands in 2014. But a lighthouse and a wharf aren’t going to settle issues that have been contentious for centuries. 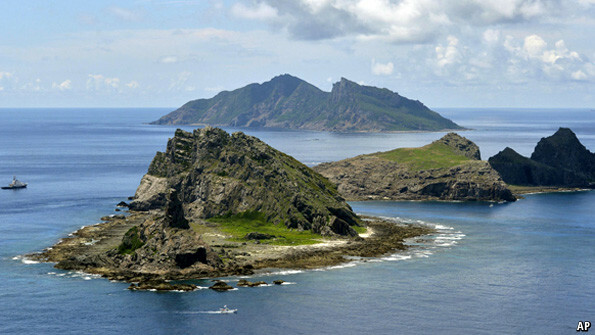 The Chinese claim to have discovered the rocky islands in the 14th century and controlled them ever since. The Taiwanese, the closest people to the islands, believe that the surrounding waters—and thus the small islets and the rocks—are part of their fishing grounds. While the Japanese arrived in 1895, established a community, built a factory, and harvested albatross feathers on the islands until the beginning of World War II. The United States administered the islands—and used them for bombing practice—from the end of World War II until 1972, when they were transferred back to the Japanese. The Chinese have been trying to reclaim their “stolen” islands ever since. Today, the remote islands are inhabited by endemic Senkaku moles and rare short-tailed albatrosses. They’re mostly rocky, with jagged peaks, small patches of grass, and bits of sand. Fishing boats circle the islands but rarely make landfall. While the lighthouse, featuring a large Japanese flag, is the only sign of recent visitors. The battle should move elsewhere.